This curry was originally meant to be a lamb and okra curry as I had recently purchased some lovely okra from the local grocer. However, I misjudged how long the okra had been sitting in the fridge and they were well past their best. I was so disappointed – I not only hate waste but I was also really looking forward to some tender braised okra. 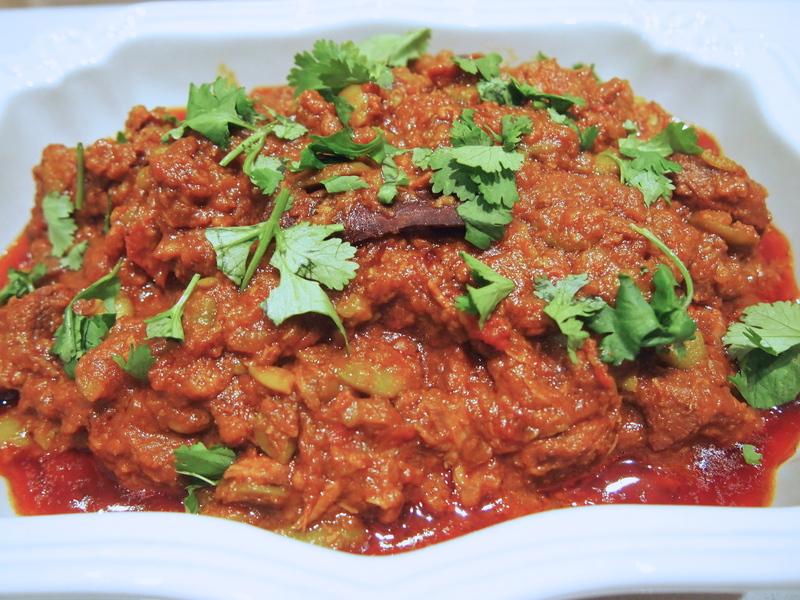 I decided to go ahead with the curry and substitute broad beans instead which actually worked really well, but to be quite honest the lamb curry was so good that it didn’t need anything else to liven it up. So next time I’ll leave the “green” element for a side dish. I’m not sure what this curry would be called in “restaurant-speak” it’s closest equivalent would be a mild sort of Madras curry I think, in any case it’s delicious and uses a pretty standard curry base of onions, ginger and garlic. The spices whilst mild are very aromatic. 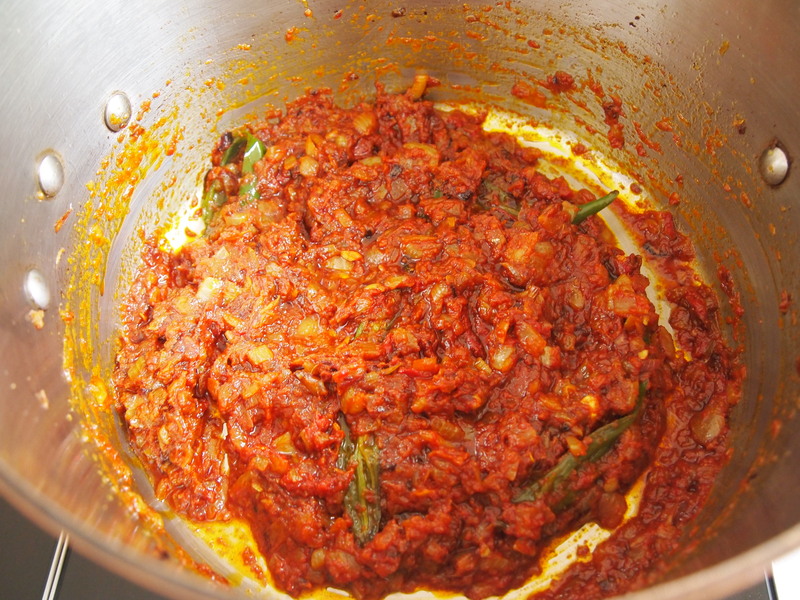 As with most curries the most important element in the cooking process is to take your time caramelising the onions, spices and tomatoes which gives great depth of flavour and colour to the finished dish. 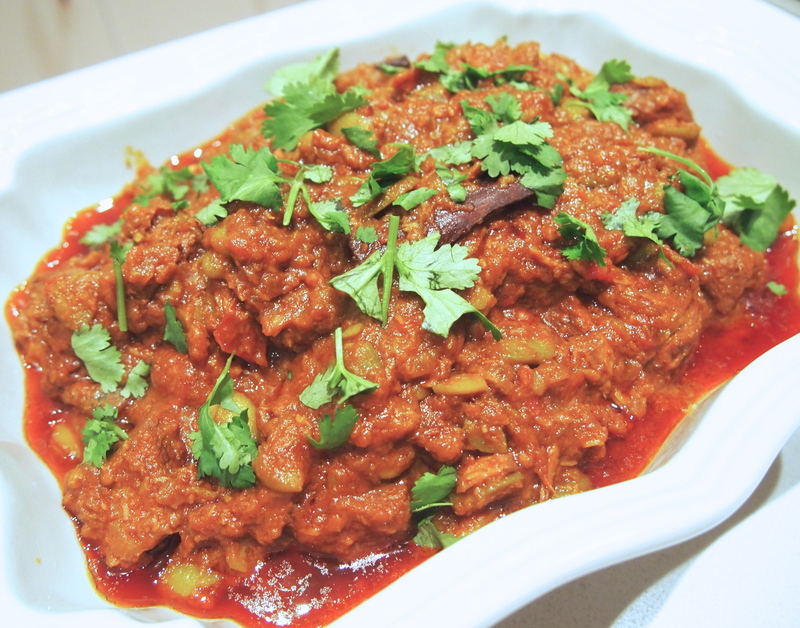 All you need to accompany this is some basmati rice and a cooling yogurt raita. Note: The broad beans in the recipe are very optional. They do stretch the curry out a bit and lend a nice buttery texture but as I mentioned above, the lamb curry was so good that it didn’t really need the broad beans and I probably wouldn’t bother adding them next time. Place a large heave bottomed saucepan over medium high heat and add a generous amount of oil or ghee, at least a quarter of a cup. 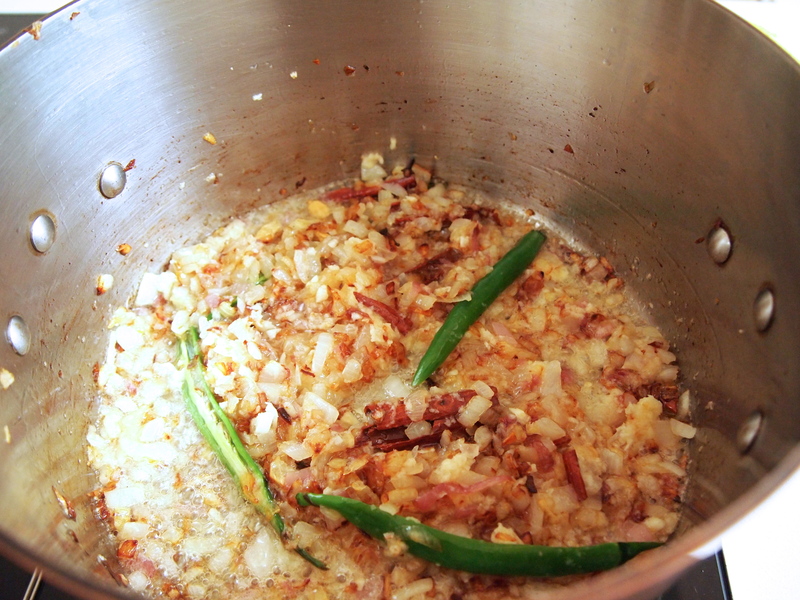 Add the onions along with a pinch of salt and cook, stirring often, until golden brown. There are a lot of onions so add more oil to the pan if you feel it needs it. Add cinnamon, cardamon, cloves, chillies, grated ginger and garlic and fry for a further few minutes, being careful not to burn the garlic. Lower the heat and add the fennel, turmeric, chilli powder, smoked and plain paprika, coriander, cumin and fenugreek and cook again for a further few minutes. If at anytime the pan is running too dry and the spices are sticking add a splash of water. 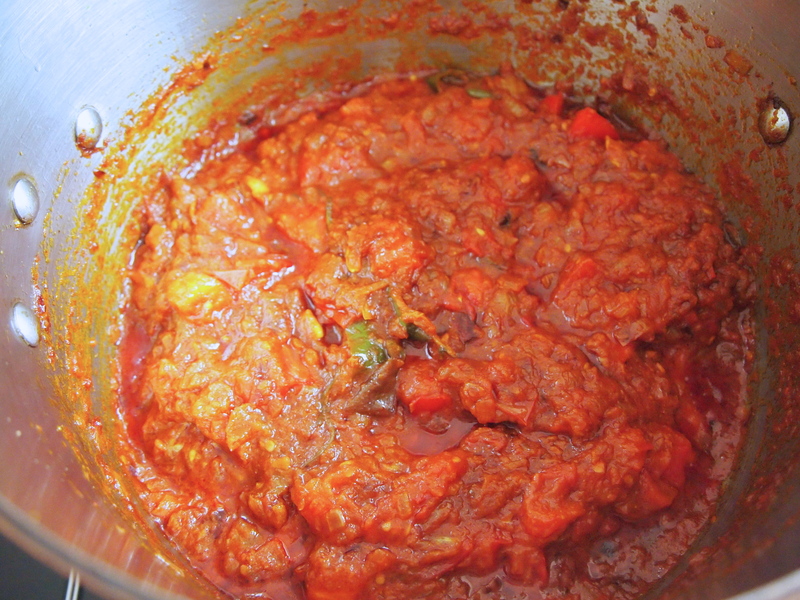 When the spices have cooked for a few minutes add the tomato paste, chopped tomatoes and desiccated coconut and cook until the tomatoes have broken down and the curry base has been nicely caramelised. If this is done on a medium to low heat it should take a good 15 minutes and again, if the pan looks to be running dry add a little water but the juice from the tomatoes should prevent that from happening. 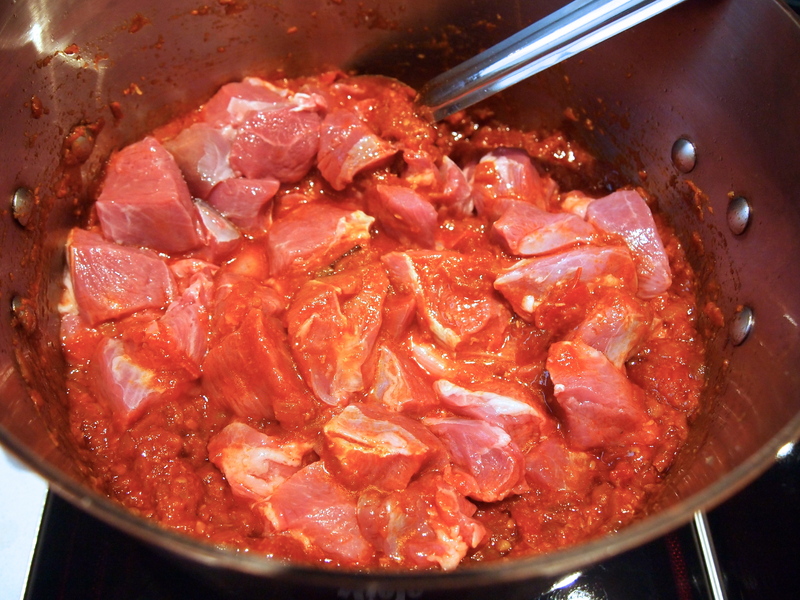 Add the lamb and stir to coat it thoroughly with the spice and tomato mixture. Bring to a simmer, lower the heat and cover with a tight fitting lid. Cook until the lamb is fork tender – anywhere from 1 – 1½ hours depending on the cut of the lamb. Check the curry from time to time, giving it a stir and making sure it’s not sticking. 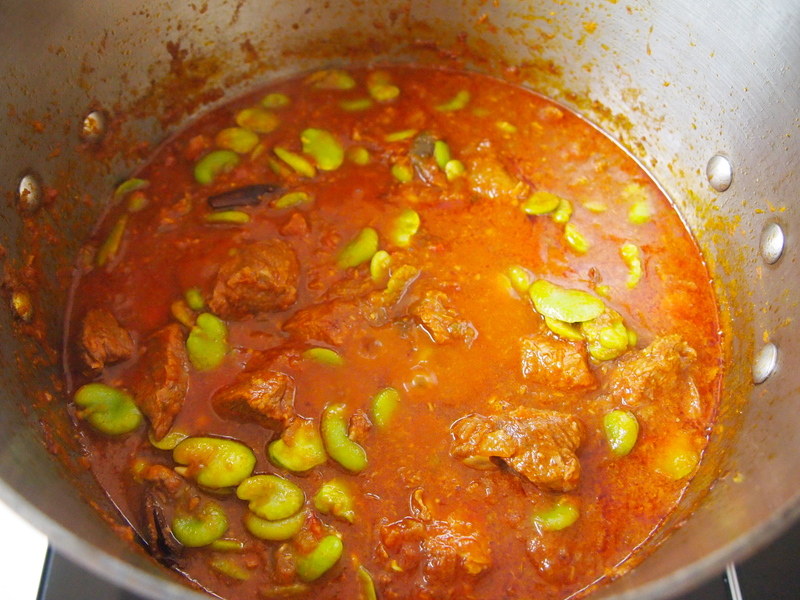 If you are using the broad beans add them to the pot about 20 minutes before the lamb is ready, stirring them into the curry to distribute them evenly. By the time the lamb is tender the sauce should be sufficiently thickened, but if it’s not, raise the heat a little and cook uncovered until it has thickened to your liking. 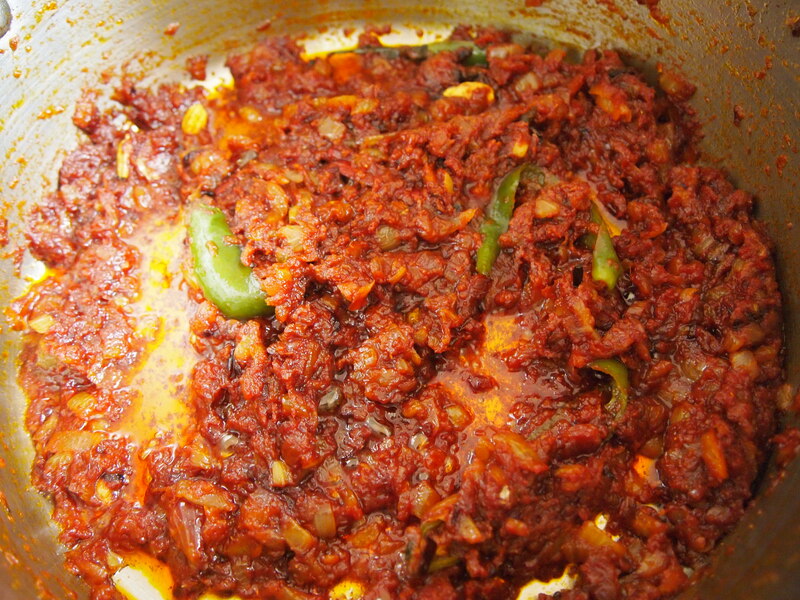 When the curry is ready turn off the heat and add the yogurt, gently stirring it through. Place the lid back on and leave the curry to sit for 10 minutes before serving.